Tons of Guilds of Ravnica cards are appearing in high performing Modern decks. But the question is: Will Tajic, Legion's Edge take over? 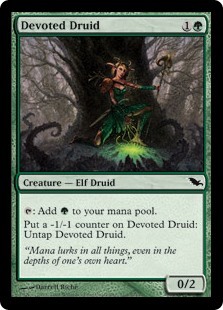 Bloodbraid Elf also broke out of its ban this week; but first... Bogles! Dan Ward piloted Bogles to the Grand Prix Toronto trophy last week. Bogles! Dan Ward is one of the strongest deck designers in the world. 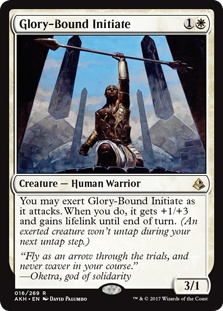 He first hit our radar with that innovative Kari Zev's Expertise combo deck at SCG Regionals about a year ago. 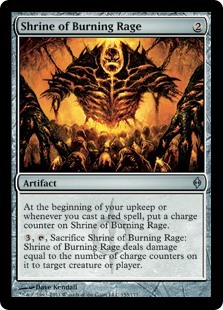 That deck was so awesome (or at least awesomely angled), WotC R&D banned almost immediately. Dan played three copies of Leyline of Sanctity in his main deck. This may seem like an odd choice for the strategy... If it isn't in your opening hand, Leyline of Sanctity will just clog your grip later. 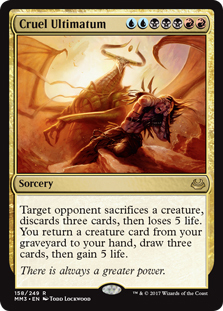 Further, Leyline of Sanctity provides little or no offensive value to this attack-oriented deck. Why might Dan have played it? He's playing a Hexproof deck: With 4 copies of Slippery Bogle and 4 copies of Gladecover Scout, Ward is clearly heavy on the Hexproof plan. His creatures are largely free and clear to wear powerful buff Auras, but they're not quite immortal. Do you know what suited up Hexproof guys hate? Edict effects. 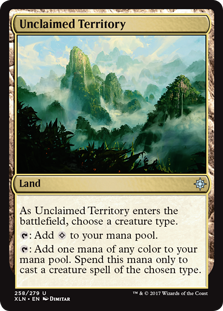 Do you know that one of the best Edict effects is also one of Modern's Staple three-drops? Leyline of Sanctity can defend you from Liliana of the Veil. Lantern just won the Pro Tour: While it doesn't defend you from Pyxis of Pandemonium or Ghoulcaller's Bell, Leyline of Sanctity turns off not only Codex Shredder but the Lantern decks' many hand destruction sorceries. It makes racing difficult: Dan was able to overcome Jon Stern's Burn deck in the Toronto finals. Leyline of Sanctity is pretty decent against Burn decks, turning off all the Lava Spikes and taking the edge off of most of the rest of the burn cards. Can Searing Blaze suddenly target Slippery Bogle? Them's fightin' words, am I right? Fighting words or not, Dan might have a point. 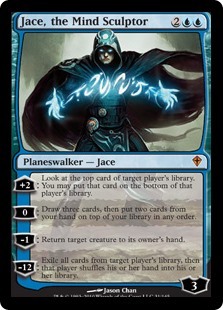 His version, with Leyline of Sanctity, actually cuts off two of Jace, the Mind Sculptor's abilities. They can't Fateseal or Ultimate you without answering the Leyline. 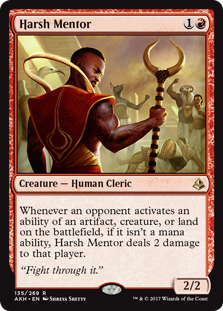 Plus, unless they are on Damnation or Supreme Verdict, fast, huge, Hexproof guys can be hard to race. Further, if you're planning to use Bloodbraid Elf to grab Lightning Bolt or other spot removal... That plan isn't so good against Bogles. 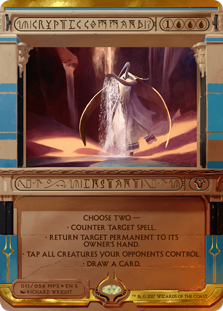 Plus, with a couple of buff auras, most of Dan's cards will be able to tussle with a 3/2 and walk away, easily. Jace has never been legal in Modern before. For many format aficionados, this will be the first time they have Jace in front of them at a Modern table. With so many abilities to choose from... Which one should they pick? 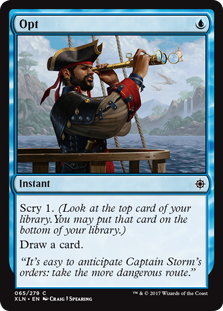 Noted Jace, the Mind Sculptor master (and Magic: The Gathering Pro Tour Hall of Famer) Patrick Chapin says that, in the dark, it should be the Brainstorm ability. 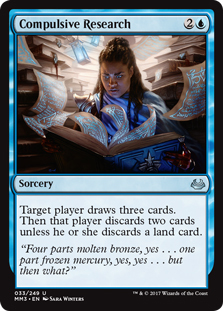 That isn't going to be true all the time -- Jace both has a ton of abilities and Modern is a diverse format after all -- but it's a good place to start. Why might you want to use the [+2] "Fateseal" ability instead? Usually it will be because the opponent has some kind of red spells to attack Jace. You know, like Lightning Bolt. Mike's favorite take on Jace in Standard was alongside Blighting. 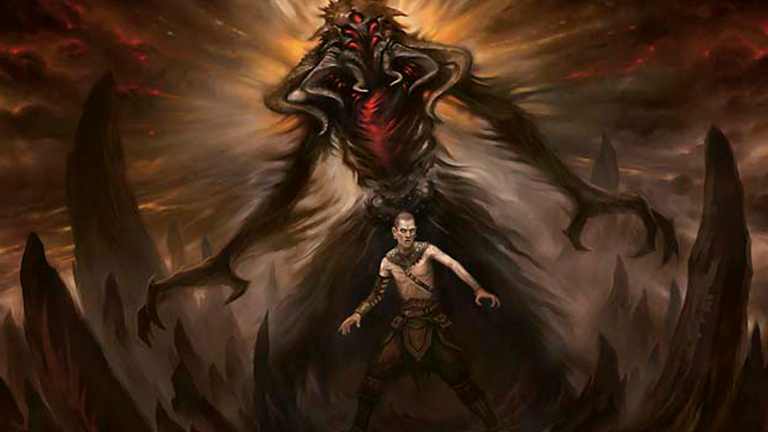 He cites the ability to attack Jace as well as the opponent's hand. Patrick points out that -- especially at the same casting cost -- Kolaghan's Command is probably a better choice. 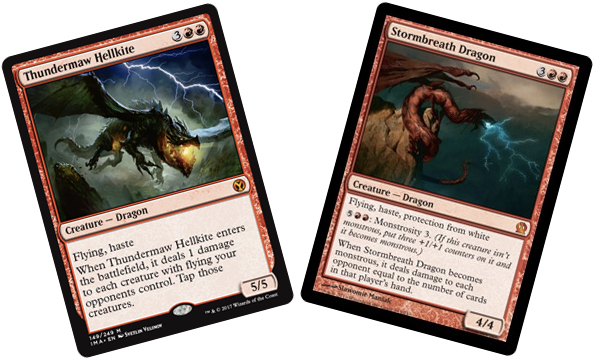 It is arguable that Kolaghan's Command + Lightning Bolt is actually a better anti-Jace plan than Blightning. "Blightning is too tempo-negative." The Kolaghan's Command argument is strong. 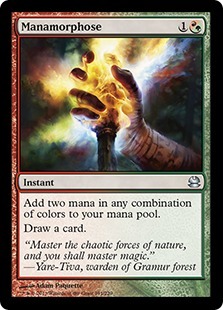 Not only is it an instant, you can set up Snapcaster Mage and lace together multiple cards to deal sufficient damage. Mike himself -- longtime Modern devotee of Lava Spike -- is threatening to switch allegiances to Team Jace. Our intrepid pair do tons of brewing in this episode. For example, a pretty sweet-sounding Bant deck list from Patrick featuring Spell Queller inspired by Wrapter's "Counter-Cat" from way back when. When you're playing with Jace and Liliana, your cards are just better than theirs; he doesn't like the idea of messing with your mana when you can just play more consistently. 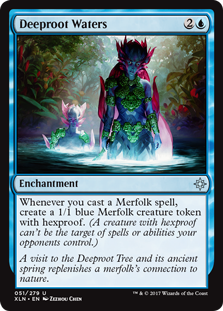 Also, thumbs down to "Jace in Merfolk". Because, Merfolk. Vieren's deck played several creatures... Four copies of Snapcaster Mage, three copies of Thing in the Ice, and of course three Pyromancers. All of those creatures excel with instants and sorceries. Snapcaster Mage gives you card advantage with them. Thing in the Ice flips into a huge monster when set up by them. And our Human Shaman can build an army while doing something else. Vieren's deck can win multiple ways. Thing in the Ice clears all the blockers and presents a threat by itself; while the Pyromancer can push a lead once you've already got it. Lightning Bolt is one of the most efficient tempo plays you can make. 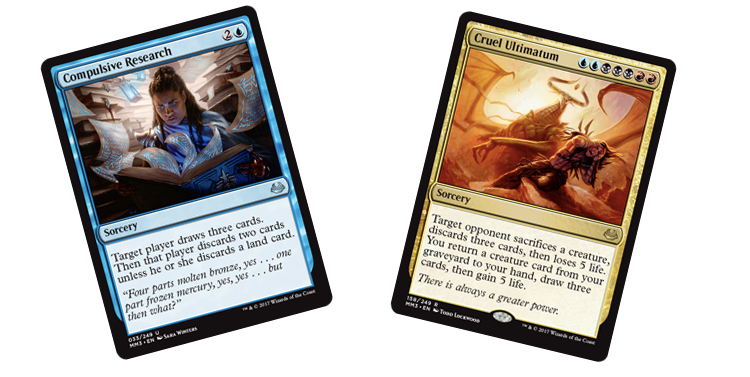 Of course Cryptic Command can both answer threats and tap all the blockers in one move. Gerry Thompson -- already a PT Champion and friend to the 'cast -- put up another Top 8, this time with a Mardu Pyromancer build. It takes a singular kind of deck designer to figure out to play one copy of Manamorphose... But in Gerry's deck, it doesn't just power up the Pyromancer, it gives you white mana for Lingering Souls! Cool little card in support of the Human Shaman. The advantages in Gerry's deck all build on one another. 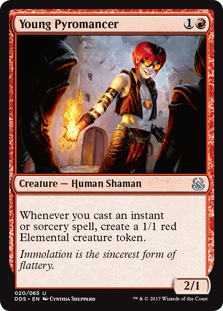 Cheap instants and sorceries like Inquisition of Kozilek fuel not just the Pyromancer, but put fodder into the graveyard for Bedlam Reveler. 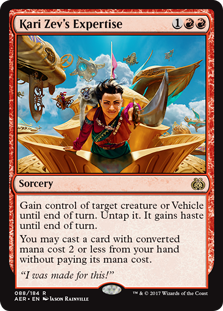 More important is Kolaghan's Command... Not only is it even more redundant discard, the ability to re-buy a creature is always nice; but what about when the creature is a card advantage engine? Check it all out now!